Each of the Prague opera houses has a unique architectural and cultural appeal, and together they present a varied programme of opera, ballet and classical concerts. You can also view opera listings & book tickets for all performances. The National Theatre, which dates from 1868-83, is a stunning neo-Renaissance building set by the river. For Czech people the theatre is an important cultural institution, playing a significant role in the development of the Czech language, music and dramatic arts. For international audiences, the National Theatre offers a full programme of opera and ballet productions. The season runs from September to June. National Theatre tickets: Prague opera tickets. The Estates Theatre in Prague opened in 1783 and is one of the finest historical theatres in Europe. 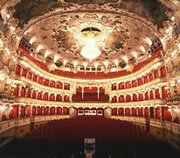 Wolfgang Amadeus Mozart personally conducted the premiere of the opera Don Giovanni here in 1787. From September to June, the theatre stages various operas, mostly by Mozart. In August, there is a special run of Don Giovanni. 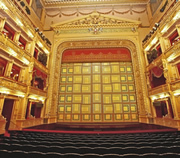 The Estates Theatre is two minutes walk from both the Old Town Square and Wenceslas Square. 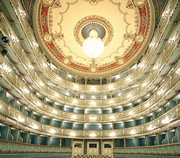 Estates Theatre tickets: Prague opera tickets. 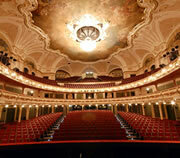 Karlin Theatre is a magnificent Neo-Baroque building, and stages many of Prague's premier opera and ballet productions. It opened in 1881 and is the second largest theatre in Prague, with seating for 921 people. Karlin has benefited from an extensive renovation project. The auditorium has been restored and modernised, with air-conditioning installed. Karlin Theatre tickets: Prague opera tickets. The Prague State Opera is closed for renovation. Productions have been transferred to the National Theatre, Karlin Theatre and the Estates Theatre. The Prague State Opera is scheduled to re-open in Autumn 2019. The Prague State Opera is located a few minutes walk from the top of Wenceslas Square and 15 minutes from the Old Town Square.